The second night of this year's Noir City Film Festival featured a sold-out screening of a relatively new film, L.A. CONFIDENTIAL (1997). Prior to the film, L.A. CONFIDENTIAL novelist James Ellroy was honored with the Film Noir Foundation's "Modern Noir Master" Award, presented by Eddie Muller. The award itself, incidentally, was designed by Samantha Fuller, daughter of director Samuel Fuller. Muller interviewed Ellroy before the screening (seen below). Ellroy's language and subject matter were frankly too raw for me to find enjoyable, as he gleefully and repeatedly violated norms of considerate public discourse. Enough said. I did glean one interesting tidbit, when Ellroy said his dream cast, if the story had been filmed in the year it was set, 1952, would have been Sterling Hayden, Steve Cochran, and William Holden in the roles played by Kevin Spacey, Russell Crowe, and Guy Pearce. I think Cochran would have been particularly apt casting. L.A. 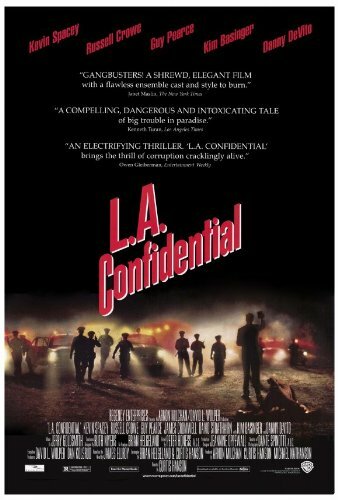 CONFIDENTIAL was grittier and more graphic than I typically care for, but fortunately the moments I didn't want to look at were telegraphed enough in advance that I was able to avoid looking! Aside from that issue, I found the film an engrossing and worthwhile 2 hours and 18 minutes. 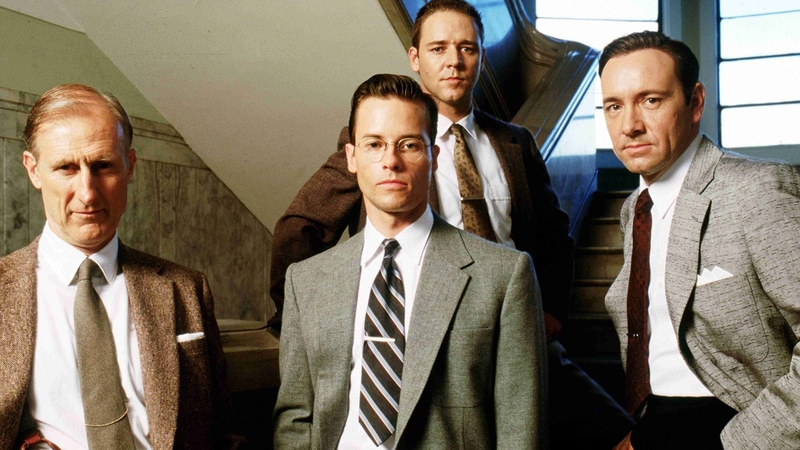 The screenplay by Brian Helgeland and director Curtis Hanson, based on Ellroy's book, had the feel of a sprawling, meaty novel, with various criss-crossing subplots which initially seem unrelated yet tie up neatly in the end. It was particularly fun watching the movie in the heart of Hollywood, as the audience applauded nearby locations such as the Frolic Room, a bar located next to the Pantages Theater on Hollywood Boulevard, or the Formosa Cafe on Santa Monica Boulvard. I saw some of the locations on the TCM Los Angeles Movie Locations Tour a few years back. Spacey, Crowe and Pearce play a trio of L.A. cops. Spacey is Jack Vincennes, the sleazy one, in cahoots with a magazine publisher (Danny DeVito) to stage flashy celebrity arrests for under-the-table payoffs. Crowe plays the perpetually angry Bud White, who provides no-questions-asked "muscle" for Chief Dudley Smith (James Cromwell) and has an affair with a high-class call girl (Kim Basinger) who resembles Veronica Lake. Pearce is Ed Exley, the nerdy straight-arrow cop who wants to quickly move up the departmental ranks, but only doing things by the book, to the annoyance of his "old school" boss Chief Smith, who believes loyalty to fellow officers supersedes honesty and doing the right thing. Exley's ethics also make him unpopular with some of his racist coworkers, though eventually some grudgingly give him his due. Several execution-style murders at the Nite Owl Coffee Shop intersect with other crimes, including a murder at a motel, to start the trio of cops on the path to uncovering a major crime ring. A dilly of a plot twist around 75% of the way into the movie changes everything. While I wouldn't want to revisit the exceedingly sordid world of L.A. CONFIDENTIAL anytime soon, it was definitely worth taking a look, especially for the period setting and extensive location shooting. I enjoyed the three lead actors; incidentally, you'd never know that two of them, Crowe and Pearce, were originally from Down Under. No traces of accents at all. The film has a couple of particularly satisfying moments when various members of the trio put aside differences to solve an ever-growing tangle of crimes, and the previously referred to twist provided one of the more shocking moments I've seen in a movie. I appreciated the way the many different stories were all pulled together in the end, thanks to a deft screenplay. L.A. CONFIDENTIAL was filmed by Dante Spinotti and featured a score by Jerry Goldsmith. I'll be returning to Noir City Monday evening for a double bill of DARK CITY (1950) and ARMORED CAR ROBBERY (1950). One of the best movies of the 90’s, if not the last 30 years... looks gorgeous and captures Hollywood’s glamour and seedy side. And this screenplay is an excellent example of characterization via action and dialogue, and a how-to on adapting big, complex source material. Loved seeing some of those locations when I was at TCMFF!! This is one of the few R-rated movies I own that aren't rated R solely for violence/language. It's sordid, but also somehow uplifting in the end. 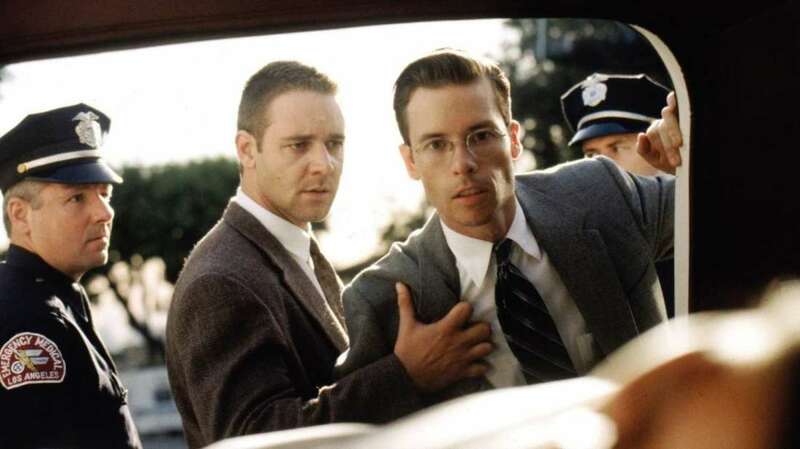 And Bud White is, oddly enough, probably my favorite Russell Crowe performance. I absolutely love this film. R-rated movies can bother me, but here I was fine with it. 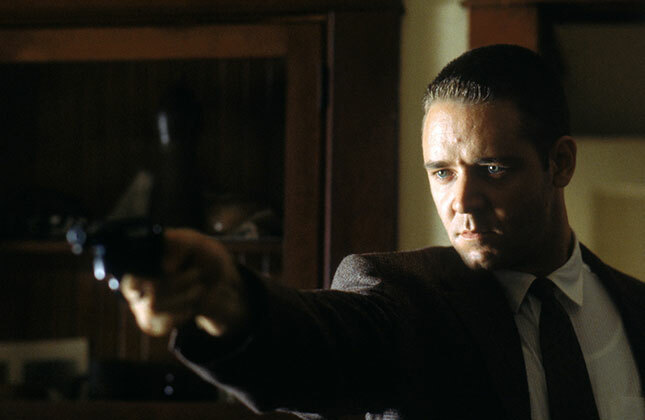 It's one of the few modern Noirs that gets it right. I've seen too many Neo-Noirs that desperately try to get the look and feel right, but fail miserably. Thank you all for your comments! This film definitely has many admirers. It's interesting, this one was too violent to interest me when it came out but I've gotten slightly more adventurous in the last few years (grin). Very glad that I was able to see it for the first time on a big screen in 35mm!